We're on a mission to deliver sensational, great-tasting vegetarian and vegan food everyone can enjoy. We’re dedicated to creating a wide variety of mouth-watering plant-based foods that deliver - above all else - flavour, flexibility and satisfaction. We’ve been experimenting in the kitchen for decades. 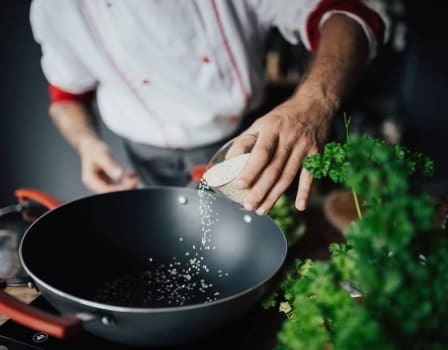 We spend a lot of time carefully researching, cooking and testing our products, fine-tuning tastes and textures along the way, with a view to making reliably delicious foods that complement and enhance as many lifestyles as possible. We're deeply inspired by foods and cuisines from all over the globe. Even our name was taken from an ancient Chinese cooking vessel, symbolising nourishment, invigoration and rejuvenation. Discovering incredible flavours, brand new ways of cooking and different textures is precisely what drives us forwards. We’ve been seeking out the ultimate flavour combinations for as long as we can remember, not only in our products but in the recipes we create too. We’re dedicated to supporting you on your cooking journey, answering your culinary questions and guiding you towards ever tastier meal times! We pride ourselves on both the quality of our foods and the way we operate. The organic soya beans in our Organic Tofu and Organic Marinated Tofu are certified as being economically responsible and environmentally sustainable. They are specially selected from farms in China (and at times of low yield Italy) and the harvest is audited from field to factory by the EcoSocial Fairtrade IBD organisation. Therefore, you can rest assured that the soya in Cauldron Tofu supports zero deforestation practices and is GMO free. 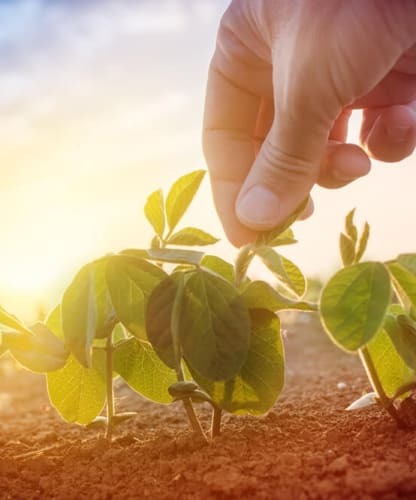 Additionally we are certified by the European Organic Body, and our storage and distribution chain are certified by the UK Soil Association. Not only that, but all Cauldron products have been granted official ‘Vegetarian’ status by the Vegetarian Society, with many of them also certified 'Vegan'. For a comprehensive list, check out our FAQs. We're continuously working to understand how we can lower the carbon footprint of the Cauldron product range. Currently, there is only the small amount of plastic from the sealing film on our chilled range that can't be recycled - all our cardboard sleeves and plastic trays are fully recyclable. We have a strong and loyal following of existing Cauldron lovers and this is a shining accolade for us as a brand. Some of our fans know us mostly for our organic tofu. Others know us for our falafels or our vegetarian sausages. We mean different things to different people, and that’s exactly how it should be. Our goal is to bring you more and more exciting foods, and it’s the conversations with our community that keep us on track. We’ll always take your feedback on board - we respect all opinions, viewpoints and dietary decisions. 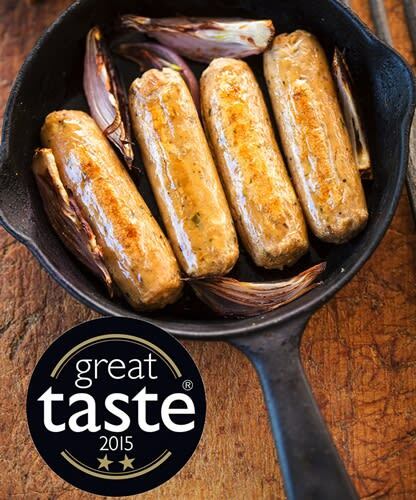 Cauldron Lincolnshire Sausages were awarded a star from The Great Taste Awards in 2015. The Great Taste Awards are organised by the Guild of Fine Food and is the acknowledged benchmark for fine food and drink, often described as the ‘Oscars’ of the food world and the ‘epicurean equivalent of the Booker prize’. Quite simply, the Great Taste logo is a sign you can trust when buying food and drink, and we're delighted to be recognised.